You’re probably thinking what is sisool? 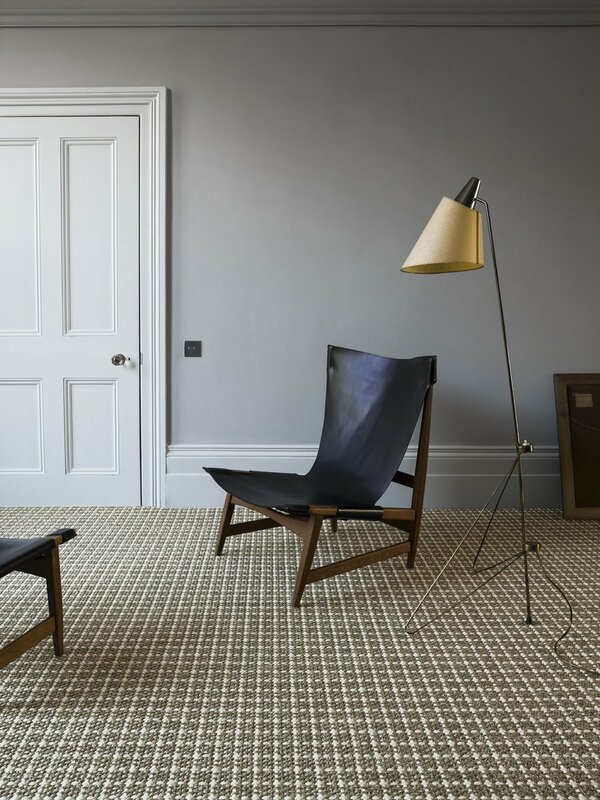 Sisool is a type of carpet from natural floorcovering specialist Crucial Trading, made from a mix of sisal and wool, bringing together the best of these two sustainable fibres. We blogged about sisal a while back - it’s a hard fibre extracted from the naturally grown plant Algave Sisalana, a perennial thriving in hot, dry areas such as Mexico and Central America. It’s the second most extracted fibre after cotton and is renowned for its impressive strength, with coarse, strong fibres that can be easily stretched. The tough, hardwearing properties make it ideal for rooms like the lounge, bedroom, home office or stairs where traffic is frequent, yet a softer texture is preferred under foot. It has excellent heat insulation and sound absorbing qualities, hence good for upstairs as well as on the stairs themselves. And being completely organic and free from chemicals, it helps to know sisal is a safe flooring solution to bring into your home, even for allergy sufferers. Showing: Crucial Trading Oriental sisal in antique gold, we installed to a home in Altrincham. As Crucial Trading have done, blending the tough, natural fibres of sisal with the just as tough, all-natural fibres of wool, creates a new carpet concept in sisool. 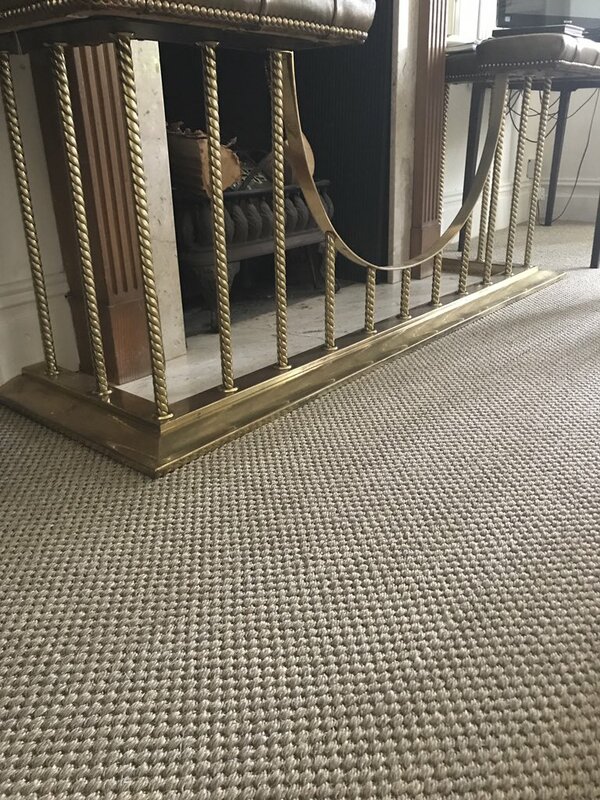 The addition of wool to the sisal makes the floorcovering even more hardwearing and while the sisal elements bring a lustrous sheen, the wool is what brings the softness for that luxurious feel underfoot. Sisal on its own as a carpet has its drawbacks – it’s not moisture resistant and wouldn’t work well in any damp environments. In busy family homes with children and pets, it might not fair too well – sisal will stain if water is spilled on it although there are additional stain protection treatments available to reduce the impact of liquid spills. And although combined with wool, sisool is much the same when it comes to getting wet, so care is needed. Showing: Crucial Trading Sisool plaid in rich black with 80% sisal and 20% wool and a latex backing. All the Crucial Trading sisool carpets come in a choice of chunky textures in a palette of on-trend neutrals from greys to calicos, to suit all interiors. There are also varying degrees of sisal blended with wool, which allows different patterns. The Sissol Twine collection for example is made from 70% wool and 20% sisal with 10% jute added in (jute is another natural fibre and one of the softest), and the intricate weaving of these three fibres creates a striking, sophisticated pattern with great texture. Sisool Rock is the newest of the sisool carpets from Crucial Trading, available in four on-trend colours balancing varying shades of grey, the 75% sisal and 25% wool blend creates a true woven masterpiece. 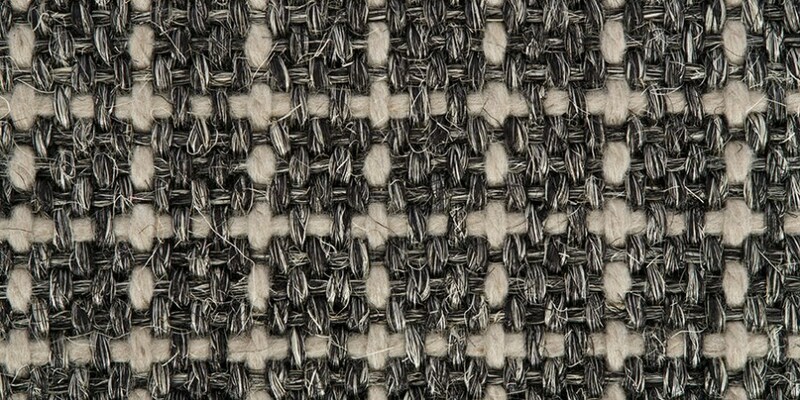 Showing: Crucial Trading Sisool in plaid grey – the interwoven fibres of the sisal and wool create a charming pattern. Give us a call for a free estimate, or visit one of our showrooms to touch, feel and talk more about sisool.